This is the start of the school year in Kenya, and for students graduating from Grade 8, a time of incredible stress and anticipation. In December they completed their exams to become eligible to attend high school. Their marks not only determine ‘if’ they can go to high school but where and what type of school they will attend. Higher marks allow for enrolment in provincial and even national schools. Those who are not able to qualify for high school are given support to attend a vocational or trade school where they can develop the skills necessary for employment and eventually independence. We have made a commitment to our children that we will fund whoever earns sufficient marks to attend high school. This began with one child, Faith, who will be starting grade 12 this month. In addition there are now twenty other students in high school. While many were returning for grades 10, or 11, those just beginning had to be ‘outfitted’ with the school uniform, clothing and toiletries, school supplies and text books. While the final costs are still being tallied it is going to cost approximately $4,500 in total for the tuition fees of these children. Some of the funds both previously raised and donated this month will go toward these fees. In February we hopefully will have a full accounting of these on the website. As always the monthly food distribution took place. This month, as always, approximately 1.2 metric tons of food was given out which impacts over 400 orphans and their extended families. In addition this is the time when ‘wishlists’, letters, parcels, beds, uniforms, goats and chickens are given out. Construction of the new Rolling Hills Residence continues. It is a massive undertaking. Already the boys reside in part of the new building and the dining hall is being put to use. Hopefully in the nest month (or so) the girls will move into their new floor. Here’s a letter from a young girl who has put her heart, and time, into helping the children of Kikima. a family friend and right away I wanted to help the children in Kenya. The money donated by Fatema supported all of the children of Rolling Hills Residence for one day. The Winter Melodies concert was held at the Unitarian Congregation hall in Mississauga on the evening of December 21st, 2011. 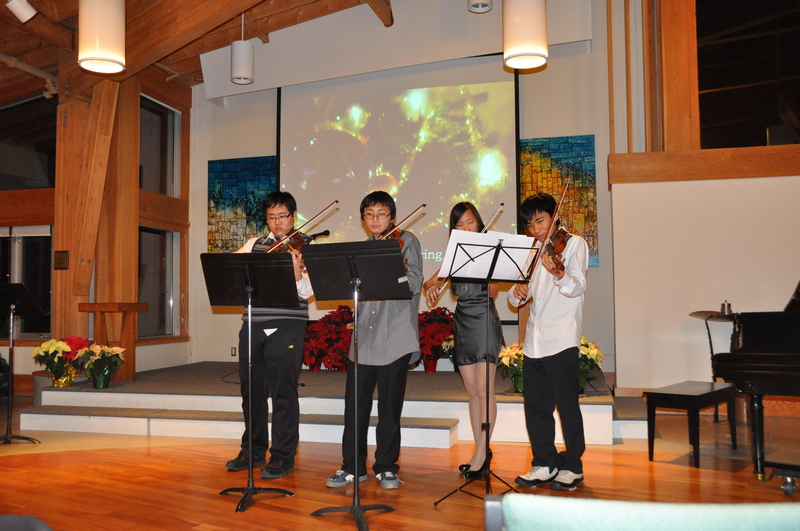 There was classical, contemporary, holiday and cultural music performed by a string quartet, a flute quintet, numerous pianists, a trumpet player, and players of the Chinese and Vietnamese cultural instruments “Gu Zheng” and “Dan-Tranh”. Special thanks to Hanna and Mary, the organizers of this event. The sum of $782.96, raised by Mississauga high school musicians, will be used to pay high school tuitions for Kenyan students. Please find enclosed a cheque in the amount of $380.00, raised this fall by students in Queen’s University’s Music 171 “The Social History of Popular Music” class. Classmates Nicole Chapman and Emily Dawber launched this initiative after a class in which we looked at Live Aid and Ethiopian famine relief efforts in the mid-1980s. Please use these funds in any way you see fit. This money was used to supplement our costs for the January food distribution. Emily’s sister, Kate, volunteered in the program for two months and will be going back this summer. Our volunteers remain involved, as seen in the next contribution. Andy Dilla spent two months in our program last year as a volunteer. He is now in medical school. He and his family continue to support the program. 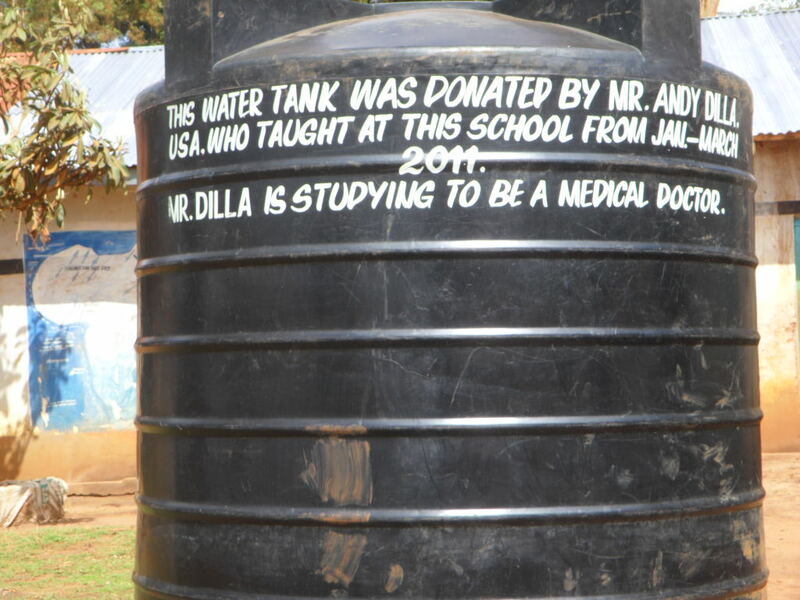 One of their more recent donations became a water tank and collection system at the school, Kyangoma, where Andy volunteered. Andy’s mother – Liz – who also spent time in the program, made a donation of $350.00 along with a $50.00 donation from her friends, Charles and Jean Kibler. This money, in celebration of Liz’s birthday, will be used for a meal for all of the children of Kyangoma. Below are a number of individual donations – some of which have gone directly to our daily sponsorship or Rolling Hills Residence. $50.00 per day provides food for 44 children, their school supplies, clothing, medical care, the salaries of the matron, night watchman and tutor, and the electricity, water and sanitation for the entire building. Barb and Eric Ross are sponsors in the program. The Sunday School in their church is small – 6 children ranging in age from 2 to 10. They held a concert and raised $200.00! They are allowing us to use the money where it would most benefit the children of Kikima. Werner Zimmerman and Jo Ellen Bogart donated money to buy a goat. Thenusha donated $10.00, which is from her birthday money. 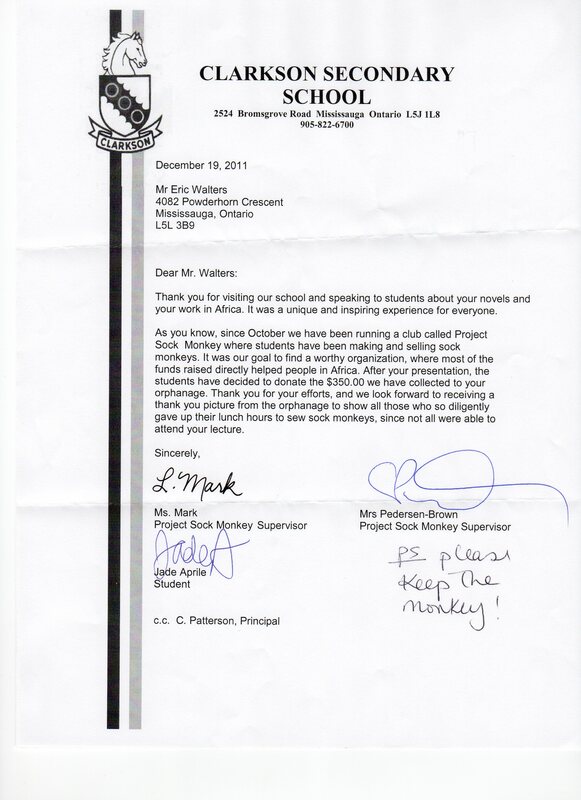 She is a student at Alexander Graham Bell, and as you can see from the picture below, this is a school that continues to make generous donations to support the children of Kikima. 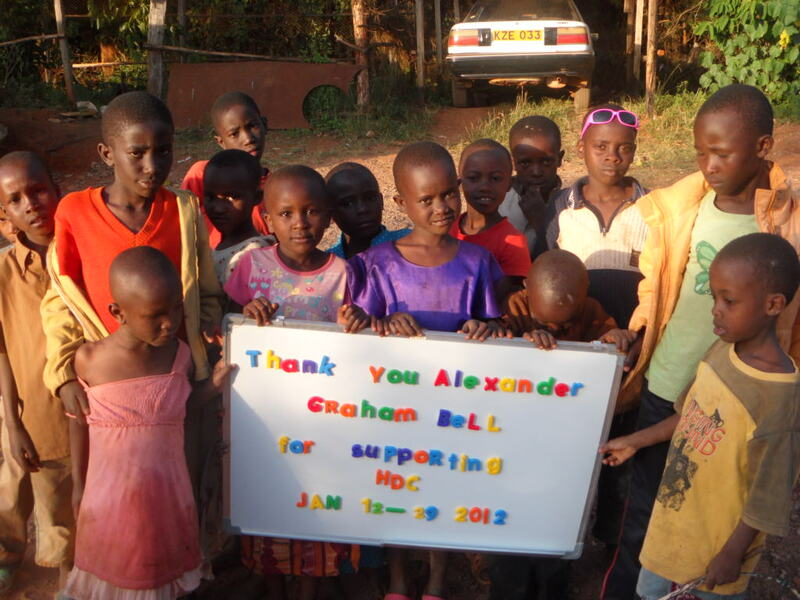 This is a thank you picture from a donation made previously by Alexander Graham Bell, under the direction of Barb Kettle. Sharon Wilson, and her students in Jack Hulland E.S. in Whitehorse raised money to support our entire Rolling Hills program for ten days. Here are two more pictures, as thanks, which have already been sent to the people who made contributions to the program. 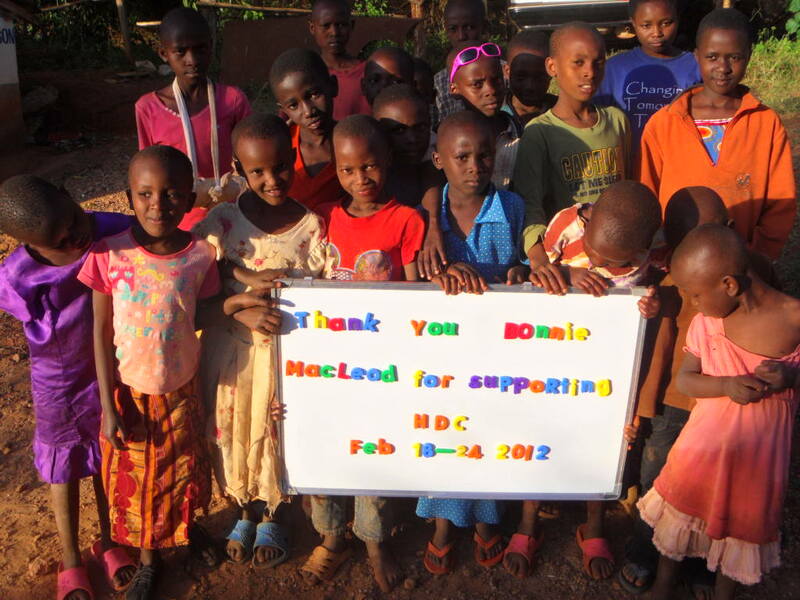 We have been fortunate to add more sponsors this month and to provide for more of the orphans of Mbooni district. 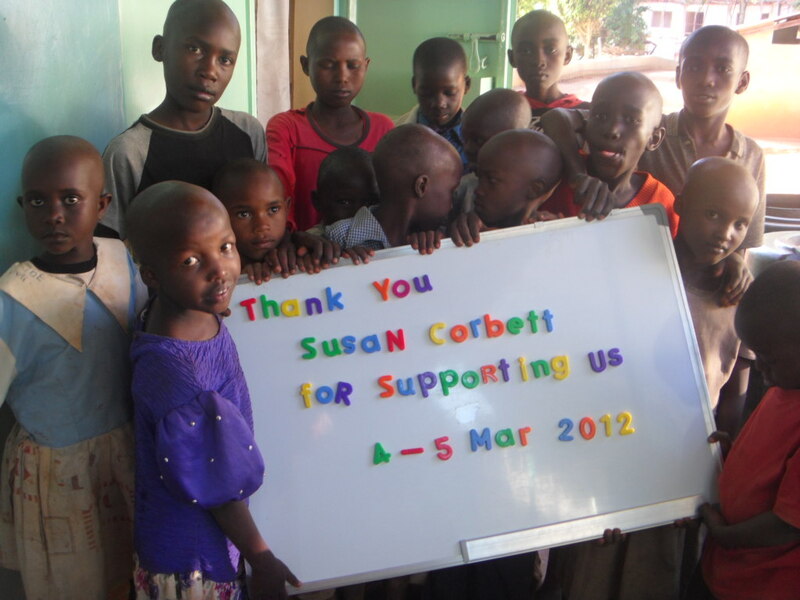 At present we have more than 110 sponsors who are providing direct monthly support. 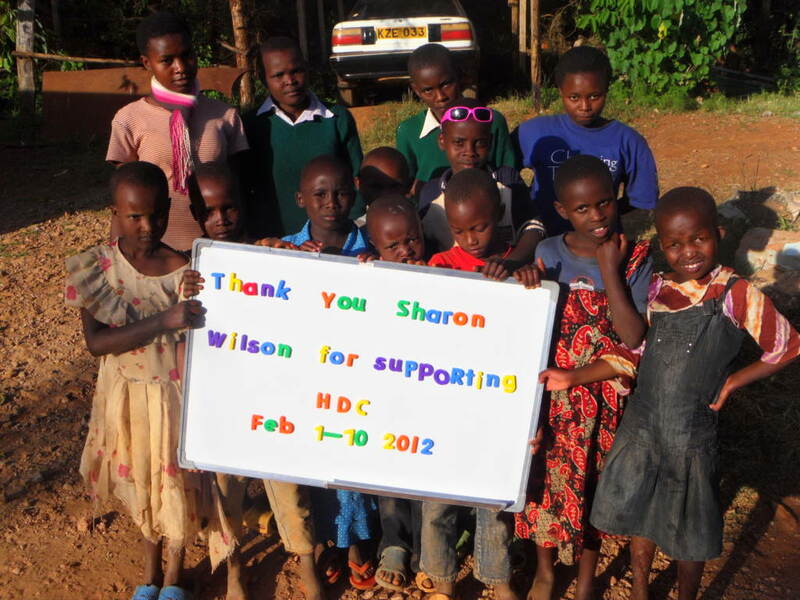 This support does more than simply provide for their sponsored child. As well as the sponsored child, their siblings and cousins who reside in their homesteads benefit from food distribution, wish lists, seeds and tools and other contributions that are provided to the extended family. 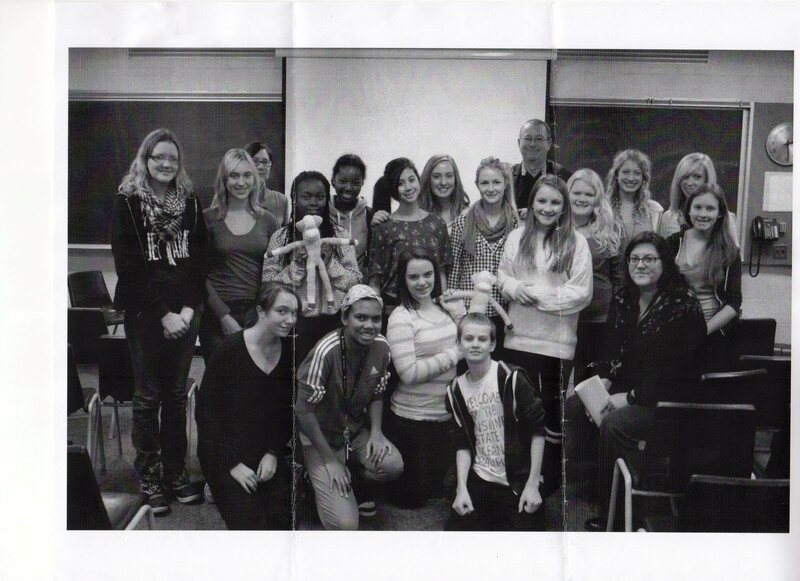 We are, and shall remain, a small organization, run by one family in Canada and one family in Kenya. Originally we felt if we ever had the involvement of 100 sponsors, we would basically cover the needs of the most vulnerable orphans in Mbooni District. We did a reassessment and made a decision to ‘stretch’ ourselves because we were able to identify an additional 25 children and felt we could provide service effectively to this extent. 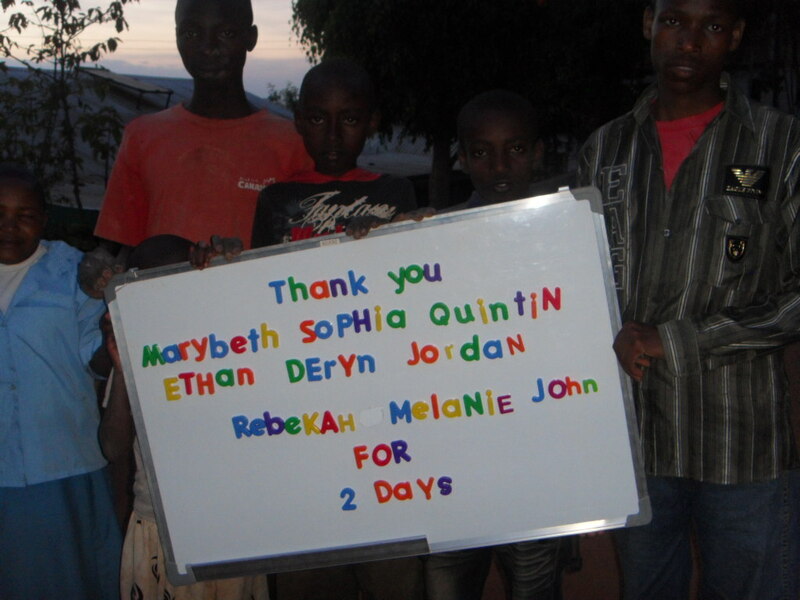 We have posted the last group of children needing to be sponsored. 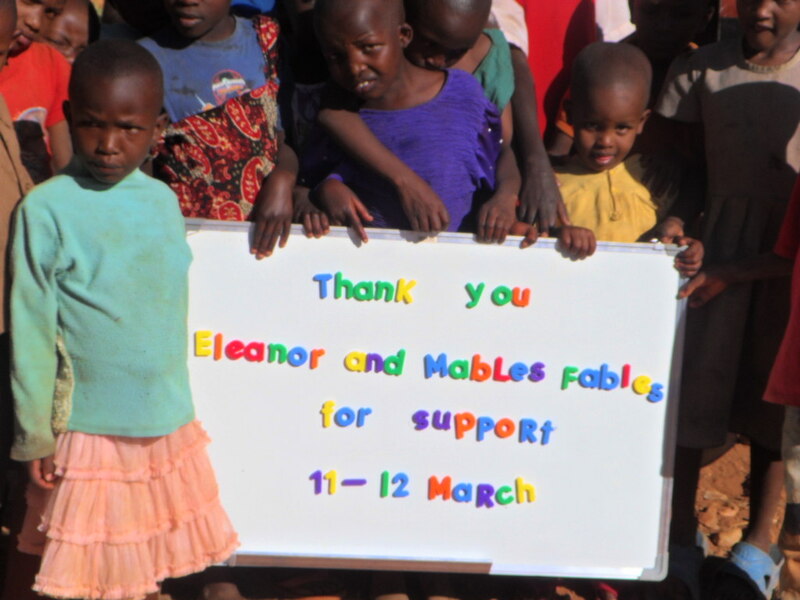 When these children are sponsored we will be ‘closing’ the sponsorship list. This doesn’t mean that we still do not need support or ongoing funding for Creation of Hope community outreach or child support projects. We feel, however, we cannot provide service and information to a larger number of one to one direct sponsors and children, in the same transparent, accountable and immediate manner if we were to try to become larger. We are clear that we know our limit. We look forward to the preparations of the group sponsor trip taking place this July and to the many activities taking place in upcoming months! Thanks for your support.